SIESTA KEY Multi-Family Home. 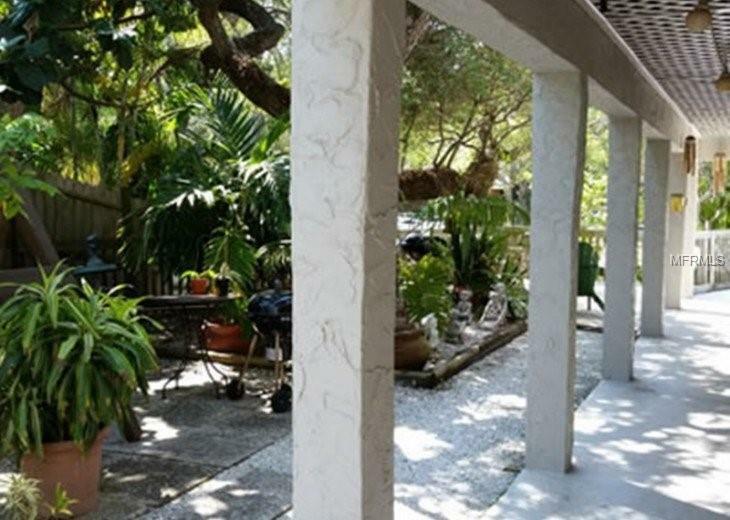 Why pay condo fees when you own this beautiful 2 bedroom, 2 bath unit plus a stand alone 1 bedroom, 1 bath unit surrounded by patios, decks, and lush tropical landscaping. All windows and doors are upgraded and are Hurricane impact for discounted insurance rates. Solid wood cabinets and quartz counter tops throughout. 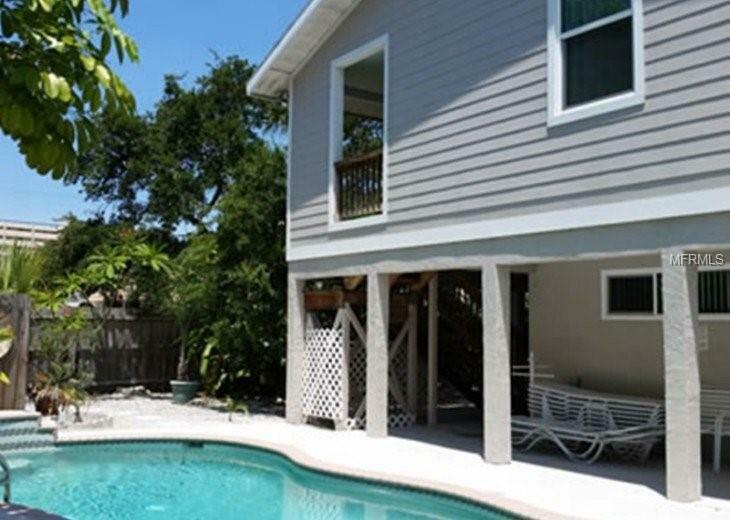 Privacy-fenced pool with a view of the canal and private dock for your boat. 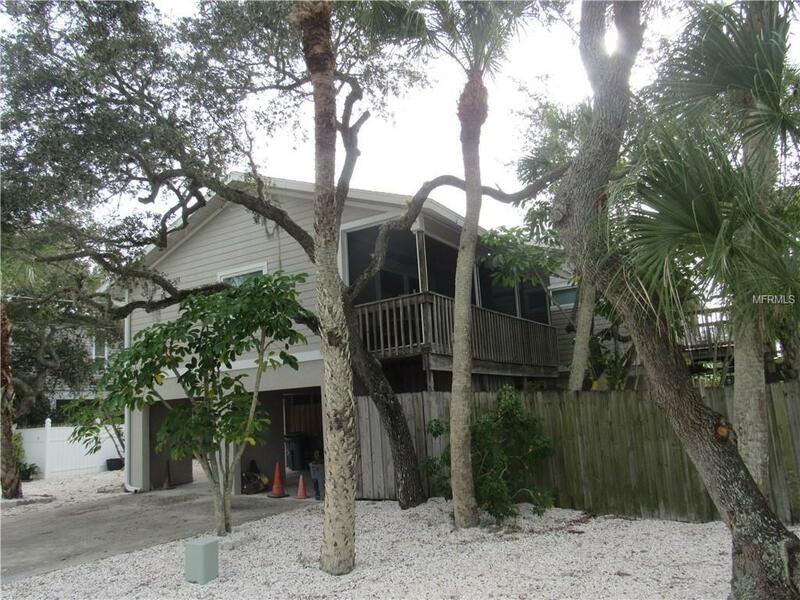 Situated close to Siesta Key Village, gift shops, grocery store, drug store, Siesta Beach and much more. 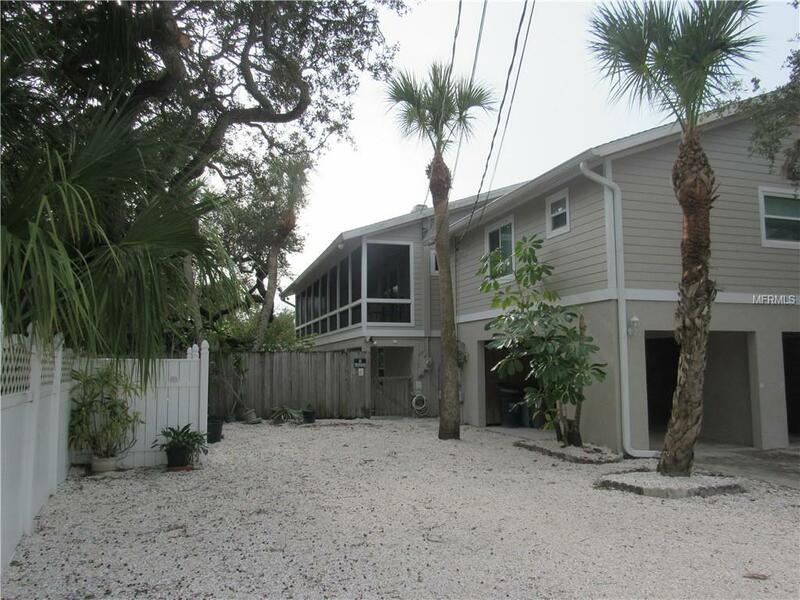 Public Trolley runs past the property and will transport you to Siesta Key Village and all the nearby amenities. Covered parking and multiple storage areas. Listing provided courtesy of Onetwelve Realty, Llc.